You can zip files and folders in Windows 10 directly from the File Explorer without using any third-party file zipping tools. 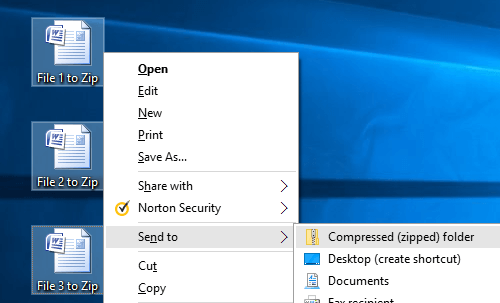 In this post you will be learning about some methods of zipping files in Windows 10, all of them are pretty basic and simple. In case you are used to compressing files, you may already know the advantages of zipping files and folders. 1. Zipping files compresses them so they take up less space on your hard drive or USB drive. 3. You can zip multiple files into a single compressed folder. This makes it easier to share a group of files. 4. Zipped files/folders can also be password protected and encrypted to protect data. 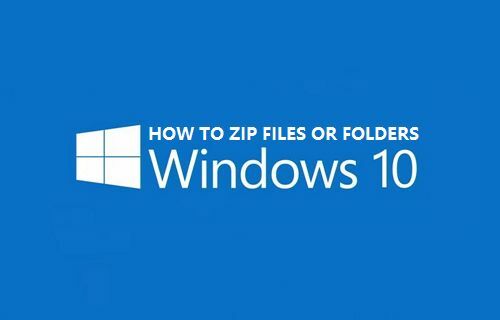 Now that we know about the advantages of zipping files, let us explore a few methods of zipping files and folders in Windows 10. 1. Select the File or Folder that you want to compress. 3. On the drop down menu locate Send to and click on it. 5. Hit Enter to accept the suggested filename, or you can change the file name to whatever you want to. Follow these steps in case you are trying to zip multiple consecutive files in a folder, all of which need to be zipped. 1. A faster way to select all consecutive files in a folder is to click on the first file, hold down the Shift key and then click on the last file. You can try this or select files one by one by holding the Ctrl Key (if this suits you better). 5. Hit Enter to accept the suggested filename or change the file name. Follow these steps when you want only the selected files from a group of files in a folder or desktop to be zipped. 3. Navigate to Send to and select Compressed (zipped) folder. 4. Hit Enter to accept the suggested filename or change the file name. Window 10 File Explorer offers a dedicated Zip tab in its ribbon menu. This is convenient for those files which are not located on your desktop. You can search for the files using file explorer and compress them right from the Files Explorer’s Zip Menu. 3. Locate the Files or Folders that you want to compress. 4. Navigate to the Share tab in File Explorer. Now you can ZIP any file by simply selecting the file that you want to zip and dragging it to the new zipped folder that you have just created. 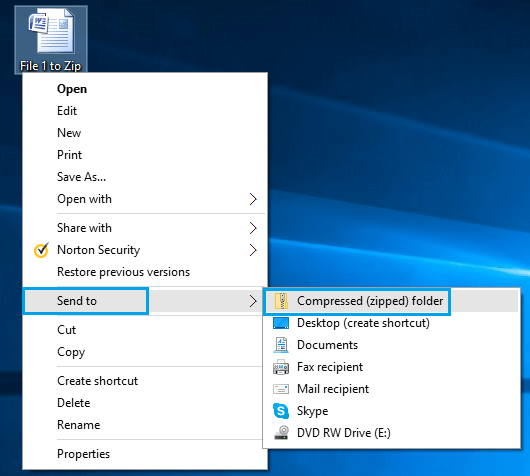 Unzipping files in Windows 10 is just as easy as zipping them. 1. To extract everything in a compressed folder, just right-click on the Compressed Folder and then click Extract all. 3. To extract individual files or folders, open the compressed folder and then drag the files or folders you want to extract to a new location.